The provision of waste education programs and resources for the general community is a priority in Perth's Eastern Region. The Eastern Metropolitan Regional Council (EMRC) has a number of programs and resources that community members and groups can utilise. Earth Carers are members of the community who take part in the Earth Carers course to learn practical ways of reducing waste at home and in the community. Waste Education Officers are available for talks and workshops on waste education with community groups from Perth's Eastern Region. Topics can be discussed with the event organiser to the cover specific topics. Free tours of the Red Hill Waste Management Facility are available for interested community groups during weekdays. The centre is suitable for hands-on workshops and group activities. While the focus of the centre is on school students, it also has regular visits from environmental educators, allied professionals and community groups. A 'Do the Right Thing' events recycling trailer is available for use by Councils, community groups and event organisers throughout Perth's Eastern Region. The trailer contains bin caps that fit over normal 240L wheelie bins. There are 20 bin caps for general rubbish bins and 20 for recycling bins. These are links to other programs. EMRC also collaborates with officers delivering these state-run waste education programs and Transpacific Cleanaway, who run free school incursions, to contribute locally relevant content and updated information on local waste and recycling services. Links to a number of community markets within the region. 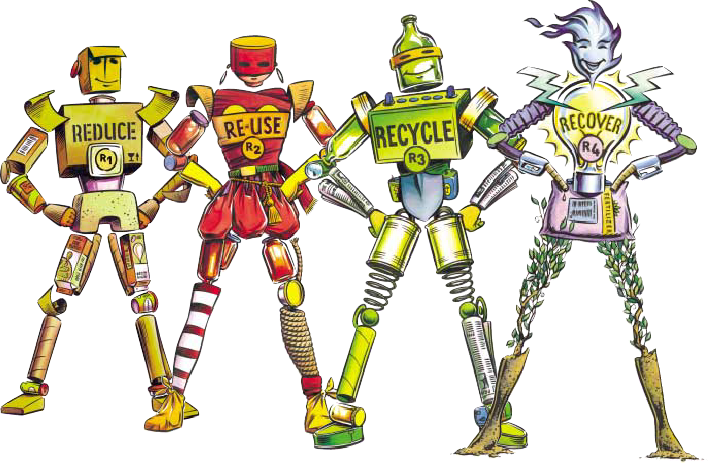 National Recycling Week occurs in November each year. Throughout the week we offer a number of events such as workshops and tours. Visit this page to see what we are doing this year.